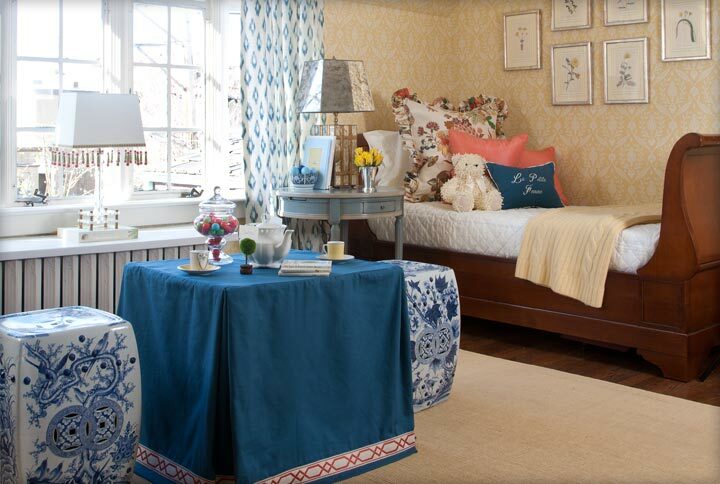 This children’s bedroom redesign was part of a show home charity benefit for Children’s Hospital. The space was designed with a young girl in mind, and our goal was to create a room that would let her imagination run wild. 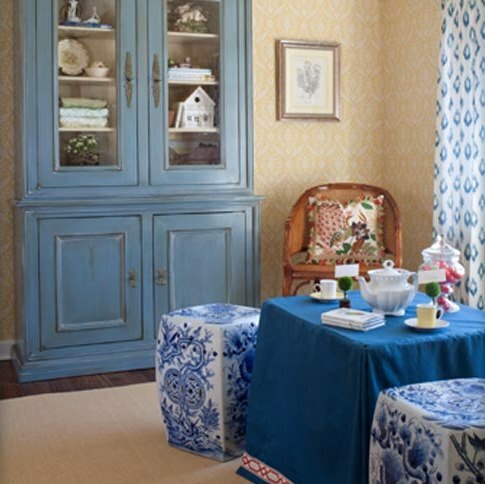 We chose feminine patterns in colors like blue and yellow that complimented the Tudor-style architecture of the space. 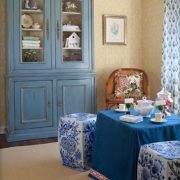 The focal point, a slate blue armoire, is the perfect piece for storing clothing and toys, while still adding a pop of blue against the yellow wallpaper. 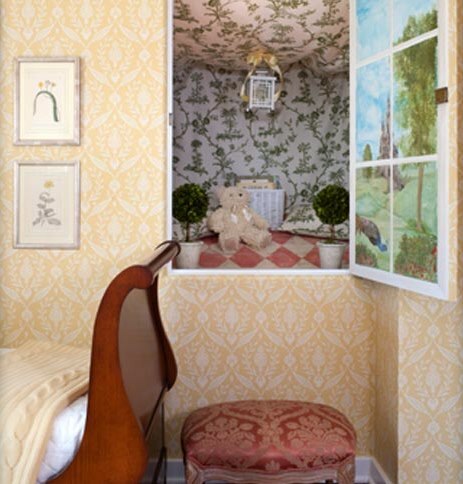 Our favorite element of the room is the small crawlspace that we converted into a whimsical hideaway, upholstered with fabric and adorned with a ceiling lantern. It’s the perfect space for reading, hiding or playing. K&Z brought in a local artist to paint the window of the crawl space into a landscape scene.